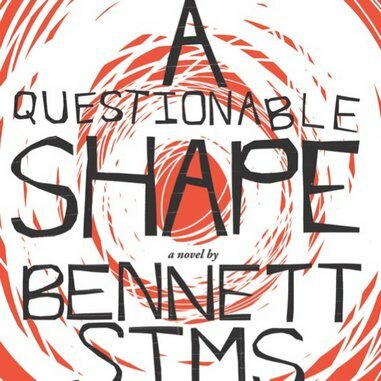 You can add Bennett Sims to the list of gifted literary writers working in—or subverting—the monster genre. Just as Justin Cronin enlisted werewolves and Benjamin Percy vampires, Sims employs zombies in this debut novel to get at larger issues of human nature and our existential plight. We open in Baton Rouge—Sims’s hometown—where the zombie epidemic has left none untouched by undeath. Unlike The Walking Dead or the plot in a George Romero film, the world has not gone completely to pot. In Sims’ world, things remain fairly normal, though the flesh-eating undead roam surrounding areas. The government has established quarantine camps for captured zombies (it is a crime to “kill” the unliving), and has even distributed a survival handbook, Fight the Bite, replete with dos and don’ts and ways to “defamiliarize” yourself from your loved ones when said loved ones turn—which they eventually will—into zombies. In Sims’ world, panic has subsided. In its place reside order, reason and pragmatism. Sims has created a world where even the living walk around, at times, half-dead. Like any good piece of work using genre as its scaffolding, A Questionable Shape cares about more than mere zombies and the havoc they wreak on the living. The zombie represents those of us who have taken to sleep-walking through our daily lives. At its heart, this book examines identity and character. It looks closely at habits. It questions meaning … what we are, deep down, when we no longer have a perceived purpose. Not a lot happens in A Questionable Shape—Sims, a graduate of the Iowa Writers’ Workshop, offers a thinking man’s zombie story. That doesn’t mean it lacks excitement. For this reason, Mike and Matt establish a routine checking all of Mr. Mazoch’s old haunts to locate him. Ironically, their search emulates the movements of Mr. Mazoch—Mike and Matt return, like the undead, over and over to the same old places. They become the very things they fear: automatons. Few relationships confound like that of father and son. Mr. Mazoch lived as a fat slob who ate nothing but candy and fast food, and he worked manual labor. His son Matt embodies the contrary: a model English student, a hungry reader, a weight-lifting fanatic. Mr. Mazoch piled his house with junk store antiques; Matt filled his with books. Antithetical, Matt and his father share interchangeable—or rather inverted—traits: they are different sides of the same coin. Even if Matt can’t see it, Mike does. Can the son kill the father without killing himself? If so, what has he become? Sims lets his intellect loose in footnotes sprinkled through the book. He forgets about the slow-moving narrative and dives into the theoretical, drawing parallels to the lives we live as “the living” and how different they seem from “lives” of the undead. The writer sees humans as boomerangs that return to the same places, the same jobs, the same people day after day. Quoting the Russian critic Viktor Shklovsky, Sims accesses the idea of automatized perception and habituated memory—the notion that we can perform the same task so often that we forget the purpose behind it. The task becomes rote, loses all significance. “The object fades away… We know it’s there but we do not see it,” Sims writes. He references Heidegger to explore the idea of muscle memory in the undead: Motion without purpose can never really matter. If character, as it’s been suggested, is what we are in the dark, when no one is looking, then character stands on full display in the books we read, the movies we watch, the places we return to again and again. To Sims, A Questionable Shape offers a way to tease out our characters, our identities, our habits. He examines the shape of our human condition in situations when we seemingly lose all motivation and simply go through the motions—when we walk through our lives blind. Brock Kingsley teaches English at Texas Christian University and is a contributor at The Nervous Breakdown. His work has appeared in The Brooklyn Rail, Juked, Junk, Pleiades, Waccamaw, and elsewhere.